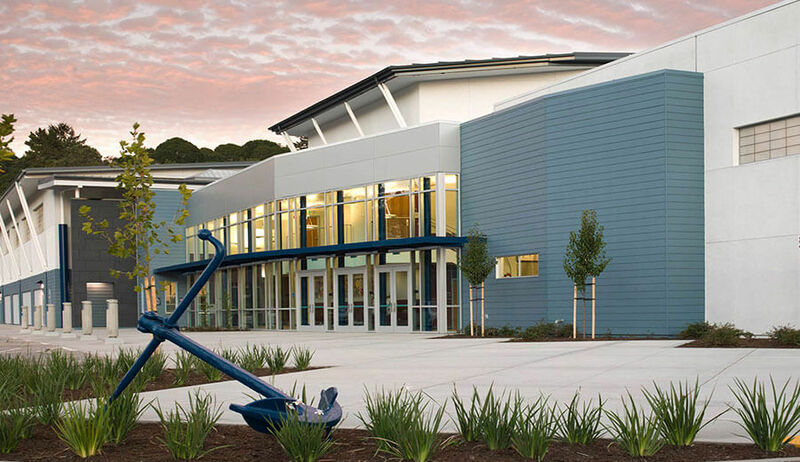 Soltek was the general contractor on the Aptos High School Gym and Performing Arts Center. 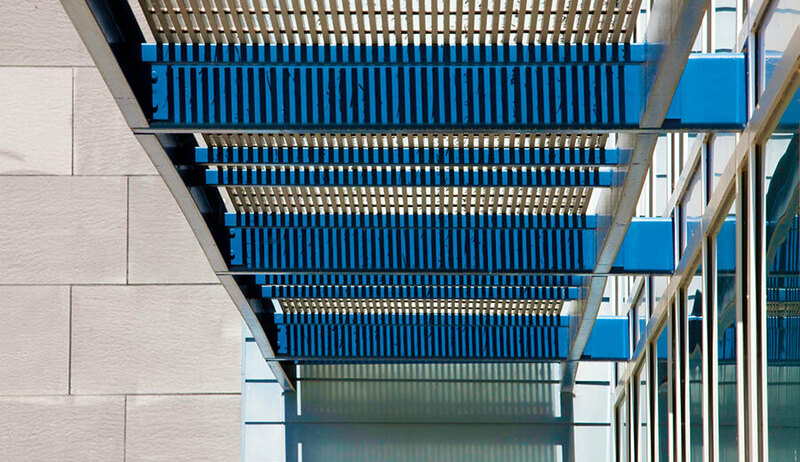 This state-of-the-art facility is threaded carefully into the fabric of the Aptos community, and creates a signature building for the existing high school campus. Creating space for this new facility required working around ongoing campus activities, and involved the demolition of existing walkways, paving, and an antiquated swimming pool, along with the relocation and extension of underground utilities to provide access for new electrical, communication, plumbing and sewage service to the new building. The buildings are connected by a common lobby area and surrounded by new hardscape and landscaping that tied together the existing campus with other recent improvements. The 41,000 sq. 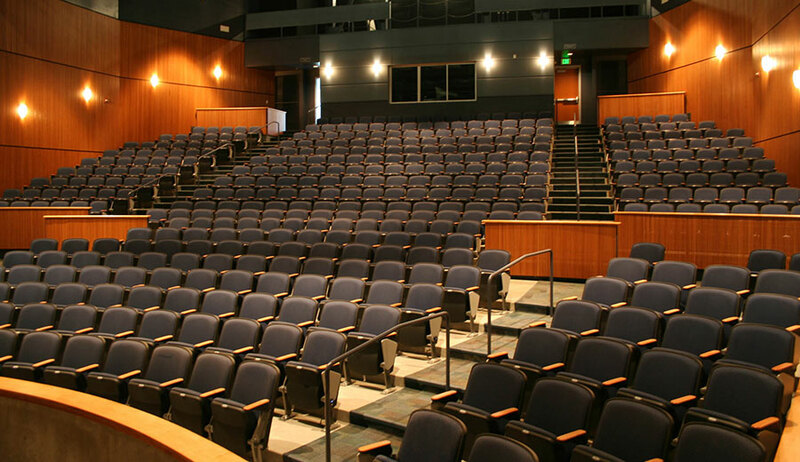 ft., three-story Performing Arts Center can seat 450 people and features a theater with a state of the art sound system, orchestra enclosure, three cat walks, and is adorned with beautiful wood paneling. The Performing Arts Center also houses a Concession area, Scenery Shop, Drama Classroom and Offices. 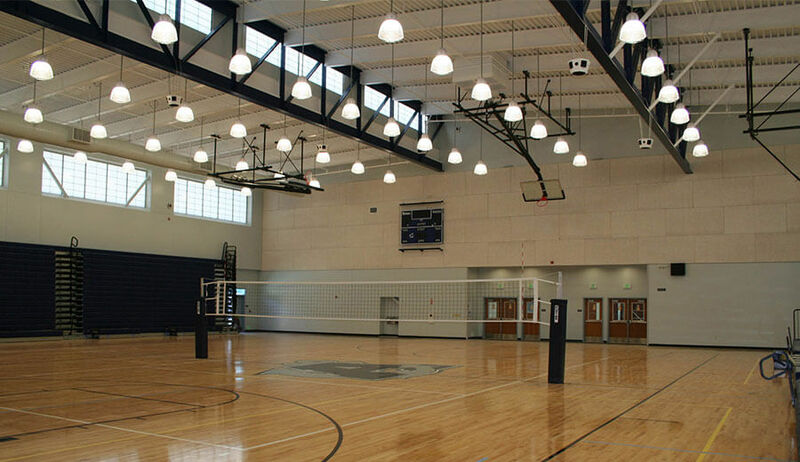 The single story Gymnasium can hold up to 1,600 people and boasts two basketball courts, telescoping bleachers, a wrestling room and a trainer’s facility.